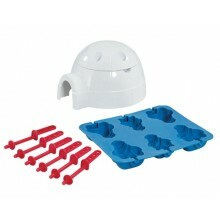 Make your own Choc Ice with Mr Frosty, the coolest guy around! 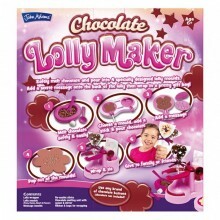 Spin, mix and make 30 candy-flavoured drinks! Simply fill the mixing cup with sugar-free lemonade, then add the special MixUbble character, loaded with powdered flavouring. Turn the dial, then watch as it spins to release and mix the flavours! Make jelly in minutes not hours! Put in the freezer, when frozen add your jelly mixture. Now for the fun part - squeeze, squeeze, squeeze! After a few minutes flip your jelly maker and leave for a minute to set. 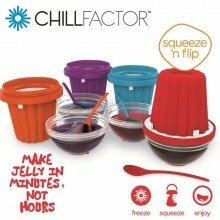 Now you're ready to enjoy delicious jelly! 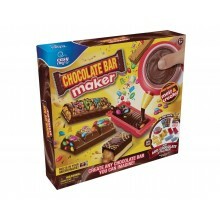 Create super tiny delicous dinner treats that look and taste just like the real thing!Simply mix, make and enjoy. 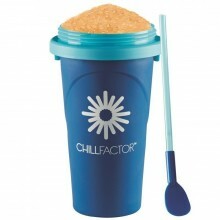 Chill Factor Squeeze cup slushy maker is a unique slushy maker which allows you to make delicious slushies in seconds! No ice, no blenders, no mess! So easy to use all you have to do is put it in the freezer, wait to freezer then add your preferred chilled drink and squeeze! 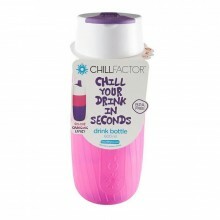 Chill your drink in seconds with the super cool ChillFactor drink bottle! Simply put the water bag in the freezer and freeze. 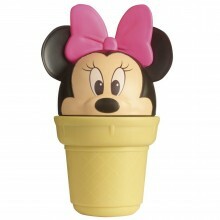 Shake to make ice-cream with Minnie, it's Easy Freezy! 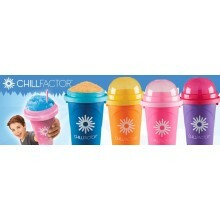 Choose your favourite ice-cream flavour, grab some simple ingredients and get shaking.. 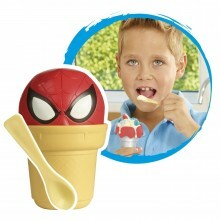 Shake to make ice-cream with Spider-man, it's Easy Freezy! 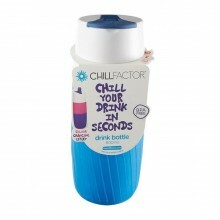 Choose your favourite ice-cream flavour, grab some simple ingredients and get shaking..
With the amazing ChillFactor™ Ice Cream Maker you can make your very own ice cream treats at home in minutes – no mess, no fuss! 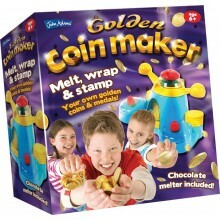 Simply freeze the Ice Cream Maker, add your ingredients, give it a little shake then squeeze, squeeze, squeeze!